It was my pleasure to pattern-test for Krista/poppyprint last week, especially since her Quarter Round quilt had caught my eye late last year! The pattern Krista is finalizing will include directions for both the four-block mini, as well as for her larger Round Peg, Square Hole. Very precise cutting of fabric pieces and an accurate 1/4" seam are the keys to success. That said, the blocks went together easily and fairly quickly. It helped me to lay out all the pieces for one block at a time and then just sew, pressing per Krista's instructions. She's even included a coloring page for those that want to get really creative with the logs in each block. I match-stick quilted my mini in the gray portions only, in an attempt to accentuate the colored solids. I love the look, though maybe should have given it a press before running out for photos. 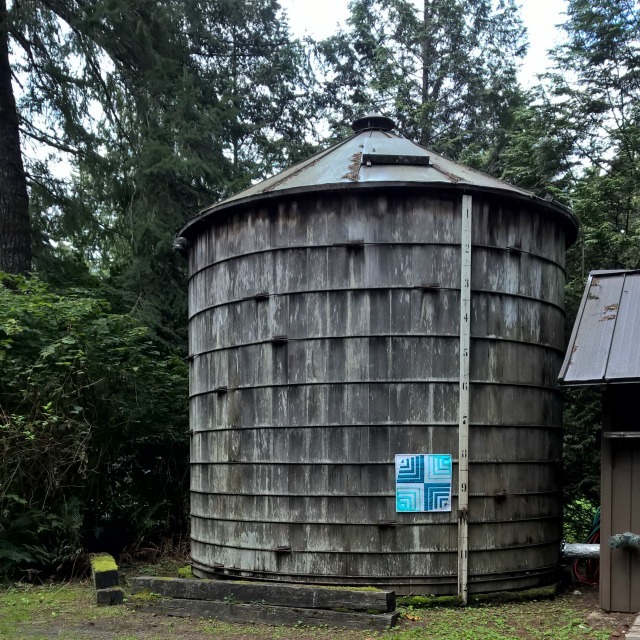 But I was so excited to find this awesome water tower on our retreat property that I didn't even notice till I got home. Worth it, I'd say! So watch for Krista's pattern release soon! This is a fun one, and isn't that optical illusion something?! 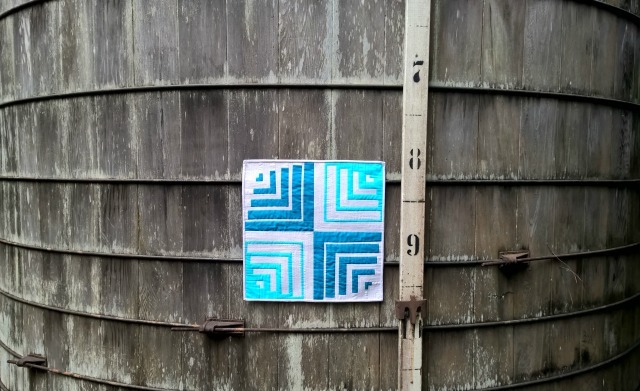 See Instagram hashtags #quarterroundquilt and #roundpegsquareholequilt for more examples of Krista's design. Linking up with Fabric Tuesday. Press what now? This phot spot was absolutely stunning and you made the right choice to grab it while you could. Love the quilt! Love the pattern! And very arty photographed! 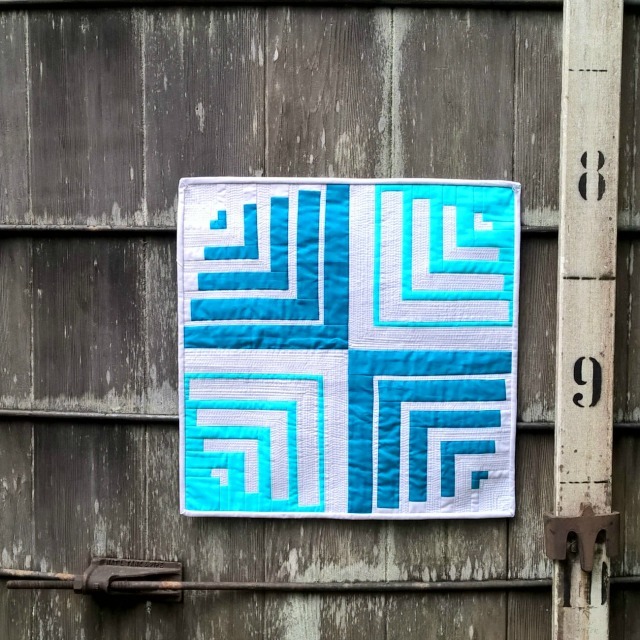 Your matchstick quilting really adds to the design - love the pics too! I would love to give this a try. Great job! Love the matchstick quilting, makes the colours pop. This is beautiful - love the fabrics used! Congrats on the finish! The pictures are amazing as always! You tied everything together with the quilting, very effective! !